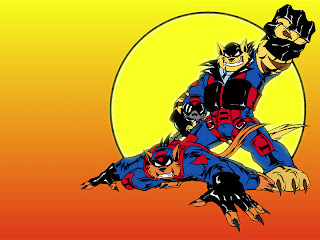 Chance “T-Bone” Furlong and Jake “Razor” Clawson were members of Megakat City’s paramilitary law enforcement agency, known as the Enforcers. Unfortunately, the Enforcers were commanded by Feral, an overbearing but incompetent Enforcer who was believed to have owed his position entirely to political machinations. 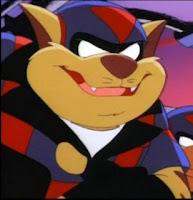 While in pursuit of Dark Kat, one of the main arch-villains of the series, the two rebelled against Enforcer Commander Feral’s orders to fall back and leave Dark Kat to him. When they objected, citing their already-acquired target lock, Commander Feral used his jet to slap their wing, sending Chance and Jake’s jet crashing into Enforcer headquarters and allowing Dark Kat to get away. In his anger, Feral discharged Chance and Jake from the Enforcers and reassigned them to work at the city’s military salvage yard to pay for the damage to the Enforcer Headquarters. Using discarded military parts and weapons from the salvage yard, Chance and Jake built themselves a three-engine jet fighter called the Turbokat, which resembled several different jet fighters, most notably the Grumman F-14 and the Saab Draken, along with a handful of such other vehicles as the Cyclotron, a motorcycle built into the jet; the Turbo Mole, a subterranean vehicle used to drill underground; the Hoverkat, a militarized hovercraft, the Thunder Truck, a militarized Jeep modified from their tow truck, and they also built two jet skis which they used in Mutation City. All these vehicles were stored, along with a training area and other equipment, in a secret hangar below the yard. They commenced to patrol Megakat City as the SWAT Kats, defending it against any kind of menace that threatened the city. Their enemies included the criminal mastermind Dark Kat; the undead sorcerer the Pastmaster; the mutant evil genius Doctor Viper; and the robotic gangsters the Metallikats. 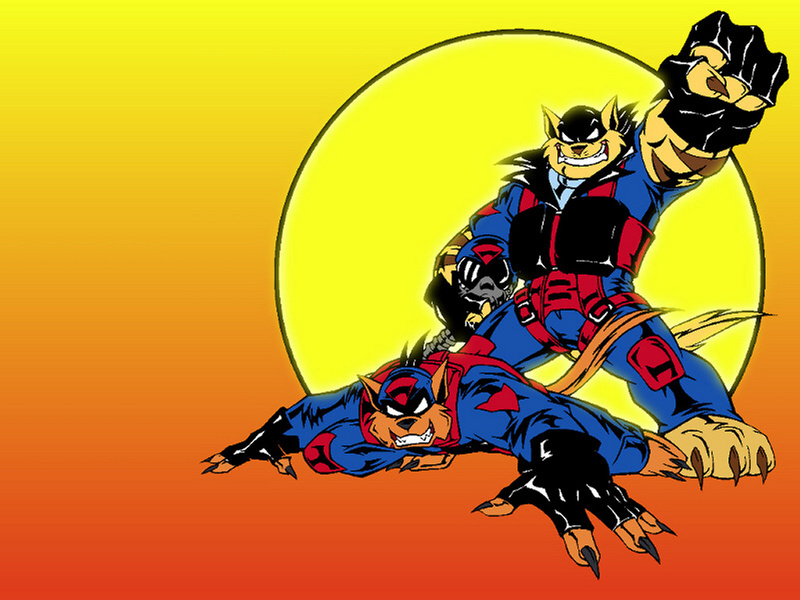 The SWAT Kats also faced many villains-of-the-week, such as Madkat and Volcanus. T-Bone and Razor kept their identities secret from everyone, and their closest ally became Deputy Mayor Callie Briggs, a character more important than the mayor himself. Their methods did not endear them to Commander Feral, and in the series the three often clashed. 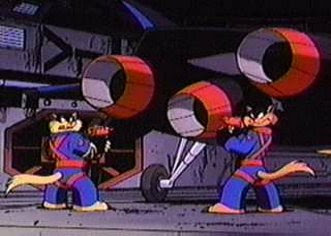 The Metallikats were the only characters in the series to learn their true identities, when they invade the secret hangar. 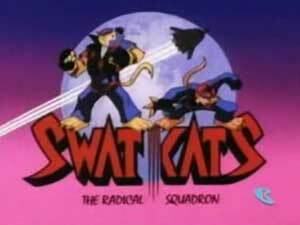 In the second season, Lieutenant Felina Feral, who disagreed with her uncle’s view about the SWAT Kats’ activities, became another ally.